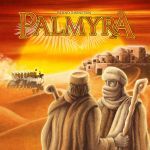 In this list, you can find all my Kickstarter pick-ups, pre-orders and games of interest for Essen. This list will change and grown in the coming days. Feel free to add comments to the games or list or suggest great games I missed. This game is currently online on Kickstarter. 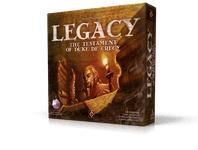 I backed it and will pick it up in Essen. The reviews of the game by Rahdo and UndeadViking were very positive, so really looking forward to this one! Another Kickstarter pick-up. I supported this game before reading the rules and didn't know what to think of it after funding. My gaming group likes zombies as well, so I hope this game will be played a lot. Who doesn't want to play with glow in the dark zombies? Pre-ordered this game. We love Citadels, and since I think this game has a similar feel to it, I just have to get it. Hive got me into this hobby (believe it or not), so this is an insta-buy for me. After seeing a review of this game by Rahdo I knew I wanted this game. I like the idea of building your family tree and the mechanics seem to work out really good. Will most probably buy this! Love the artwork. I didn't back it on Kickstarter because I already own Drum Roll and (will get) Shadows over the Empire, who have similar art. 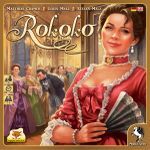 Looks good and has an original mix between deck building and a board game. I will certainly check it out. I don't own Dungeon Petz yet, but I would love to have a copy! If I can find a reasonably priced copy op Dungeon Petz in Essen, I will buy the expansion as well! Same goes here. 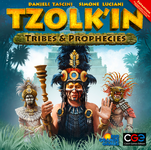 Don't own Tzolk'in yet, but if I can find a well priced copy in Essen, I will immediately buy the expansion as well. As a Dutch guy, I just have to buy this map collection. Art looks good and I would like to have a more heavy Carcassonne. 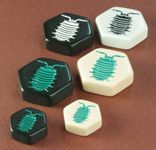 Want to play in Essen before buying though. This game I have for trade in the Essen Math Trade, including all extras. 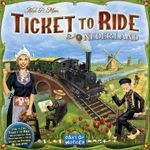 I hope to get something from my BGG wish list in return. This is my first Math Trade, so I'm excited about the outcome!